Noble Rot is a London based magazine featuring exciting wine and food writing. 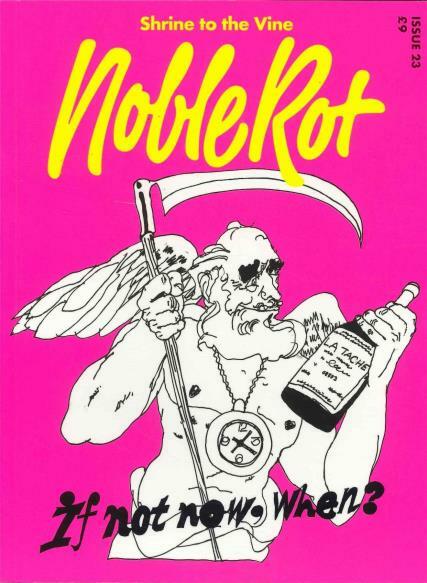 Buy a single copy or subscription to Noble Rot magazine. The content of the magazine is fresh and exciting, with beautiful illustrations throughout. The founders Dan Keeling and Mark Andrew know their stuff with Dan having earned Fortnum and Mason's Drink writer of the year 2016, and Mark previously working as head buyer at London Merchant Robinson Wine. Expect to find entertaining, edgy discussions and comments on food, wine and popular culture.